Top Ten Greatest Wicket keepers Of All Time takes a look at some of the most athletic and remarkable wicket keepers in the history of the game. Top Ten Greatest Wicket keepers Of All Time is a list with the greatest ten wicket keepers of all time. These include some of the finest in the game and while most have already hanged their boots, a few continue their brilliant display of strenuosity and athleticism. Keeping the wickets is perhaps one of the most challenging tasks on the cricket field. 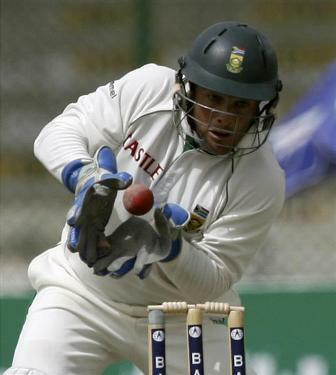 There are a number of ways in which the wicket keeper can contribute towards the dismissal of a batsman. To start with, a simple caught behind the wicket is where the reflexes of a wicket keeper are tested. Top Ten Greatest Wicket keepers Of All Time list includes wicket keepers who have been lightning quick and feather light while grabbing the ones the batsman edges. Also, a wicket keeper can be responsible for stumping a batsman out. As the batsman prepares to leave the crease or is deceived and loses his balance, the wicket keeper has to gather the ball and take the bails off almost immediately. There is hardly any scope for error.Top Ten Greatest Wicket keepers Of All Time stresses on the essentials of a wicket keeper. Finally, a wicket keeper is most instrumental when running a batsman out on the striker’s end. 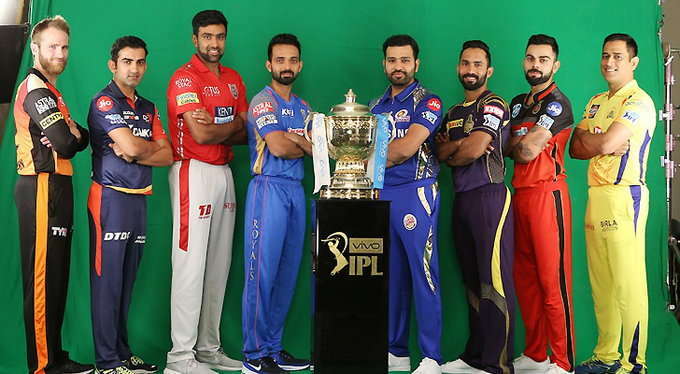 The wicket keeper has to run from his position and reach the stumps in order to be able to collect the ball and disturb the bails thereby running the batsman out. This requires consummate skill and precision along with a faultless hand-eye co-ordination. Top Ten Greatest Wicket keepers Of All Time thus explains how difficult it is to be a wicket keeper. Besides all this, the keeper at times has to perform with the bat as well. 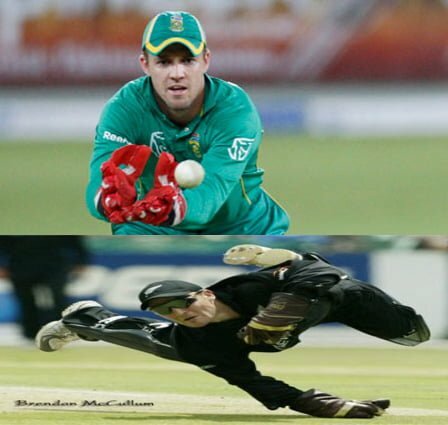 Wicket keeper batsmen are the most preferred form of wicket keepers who can provide some muscle in the middle order or right there at the beginning. It will be interesting to note that all the qualities listed in these three paragraphs will be present in the wicket keepers who form this list of Top Ten Greatest Wicket keepers Of All Time. It’s not always great to start with a tie, but technically speaking, we’re actually ending with a tie. So yes, all good here, we can go on. Top Ten Greatest Wicket keepers Of All Time has two explosive batsmen who keep the wickets for their teams. McCullum from New Zealand and AB from South Africa are currently one of the most dangerous batsmen in world cricket. They are effective in all formats of the game and especially in tight situations. AB’s batting is more refined but when it comes to firepower, McCullum might just inch ahead. Top Ten Greatest Wicket keepers Of All Time draws a comparison between two fearless wicket keeper batsmen. When it comes to wicket keeping, the two redefine limits of athleticism. They are as flexible as a rubber band and keep snapping in and out along the length and breadth of the ground like one. Both are known for their ability to pounce on the ball in a flash when the naked eye can’t even see it. While McCullum edges ahead as a wicket keeper, De Viliers runs back in with the number of runs he has scored as a wicket keeper bastman. A tight competition indeed and hence it becomes difficult to ignore either of these fine cricketers. Top Ten Greatest Wicket keepers Of All Time shall play it smart and tie the two at number ten. He has carried the weight of an inconsistent Pakistani side for far too long now. Top Ten Greatest Wicket keepers Of All Time pays respect to one of the most reliable, damaging as well as dedicated wicket keeper batsman of this decade. 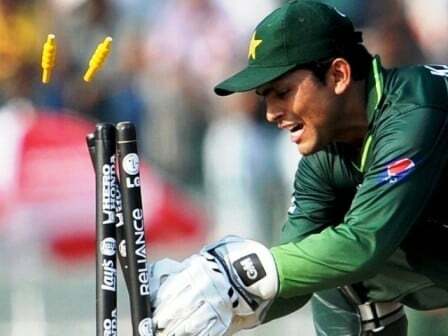 Kamran Akmal has chosen to become the damage control guru of the team and alongside it he has played the role of near to perfect wicket keeper. Responsible for nearly 400 dismissals in his not so long career, Akmal has provided some much needed stability to the otherwise struggling Pakistani side. Top Ten Greatest Wicket keepers Of All Time puts him at number nine. Without a doubt, one of the greatest English wicket keepers of all time, who was also a huge asset as a batsman. 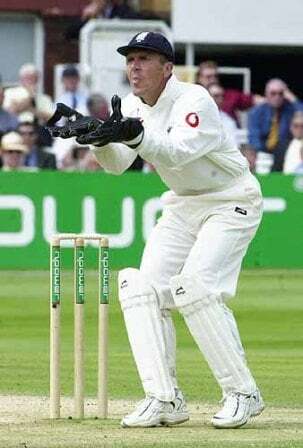 Alec Stewart’s record is the one which every team would fancy when discussing wicket keeper batsmen. He scored 8,463 runs in Tests and kept the wickets and accounting for 451 dismissals in Tests as well as ODIs. He was also responsible for 753 dismissals in his first-class career scoring 26,165 runs. Stewart also had 15 Test hundreds to his name. Top Ten Greatest Wicket keepers Of All Time is simply dazzled. Put this Test and ODI record together and you get over 300 dismissals and more than 11,000 runs scored. Coming from a team which was never at par with the heavyweights, Andrew Flower showed the way. He lit the path and asked his teammates to follow him. A batsman of finesse and class, style and surprise, power and elegance, Andy Flower packed a number of shots with him when facing bowlers from around the world. His wicket keeping skills were also a support system to the otherwise desolated Zimbabwe side who always missed out on victories and much deserved accolades. 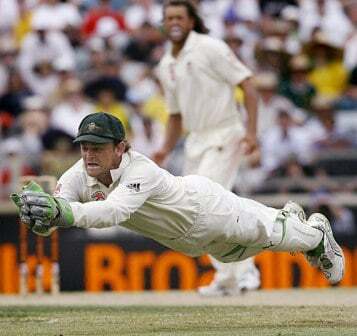 Top Ten Greatest Wicket keepers Of All Time is proud to have Andy Flower at number seven. More than 800 first-class dismissals, 355 Test dismissals and 124 ODI dismissals, Rodney Marsh fought his way into the side and through some skilled glove work and an undying thirst to perform, he ended up becoming one of the greatest wicket keepers to keep the wickets in the history of this game. He moved pretty quickly and was also light on his feet. It is sad that someone as talented as Marsh has been forgotten by many writers when formulating the list of top ten wicket keepers. Nevertheless, Top Ten Greatest Wicket keepers Of All Time will not forget this great wicket keeper. No matter how well researched and well written a top ten wicket keepers article is, without Ian Healy it means nothing. It is a list which is trying to fool you. Get rid of that list right away please. 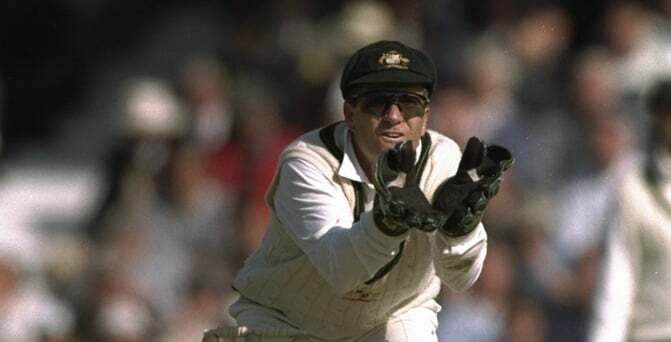 Ian Healy had a total of 628 dismissals to his name and more than 5,000 runs as well. Most of us know him as that familiar voice on the commentator’s panel but what people are not aware of tis the fact the Healy actually beat Marsh in the race of becoming a wicket keeper in the later years of Marsh’s career. It was Healy’s ‘Bowling Warnie’ cry that travelled through speakers on TV sets and thus created a whole new phrase. Healy was also a sort of dependable batsman with a few shots under his belt. 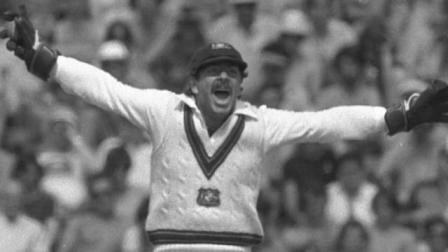 Ten Greatest Wicket keepers Of All Time puts Healy at number 5. 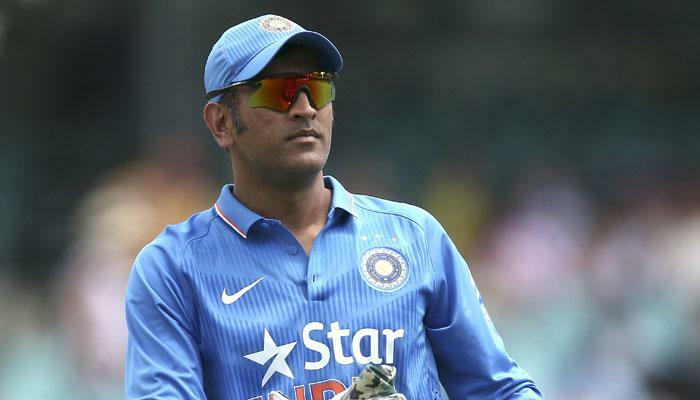 In at number six, is uber cool Mahi frustrating a fresh cut cucumber –captain of World Champions India, the most ruthless and consistent wicket keeping batsman in world cricket today- MS Dhoni. 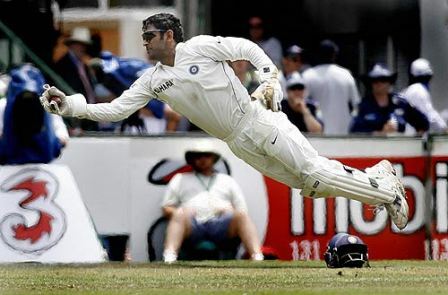 Dhoni’s extra ordinary pair of hands are responsible for launching the ball outside the park on a number of occasions. Slamming bowlers and destroying careers in a matter of six deliveries, is somewhat Dhoni’s hobby. 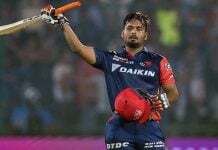 His trademark shot, wrongly named the ‘helicopter’ shot, is actually an ‘apache assault chopper’ shot which takes every bit of grass (and at times even skin) with it when belted towards the boundary with one of the meanest wrist movements that you’ll ever see. Dhoni is, above all, a match winner. 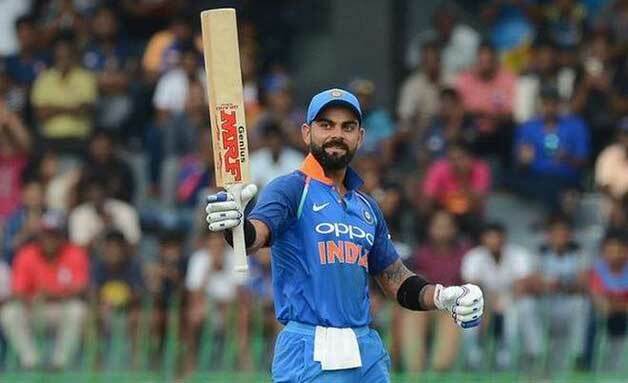 His batting record shows how instrumental he has been in most of India’s victories over the last couple of years and more. With 11,000 runs to his name, Mahi storms in at number six and still manages to score more than all the top order batsmen in the world. 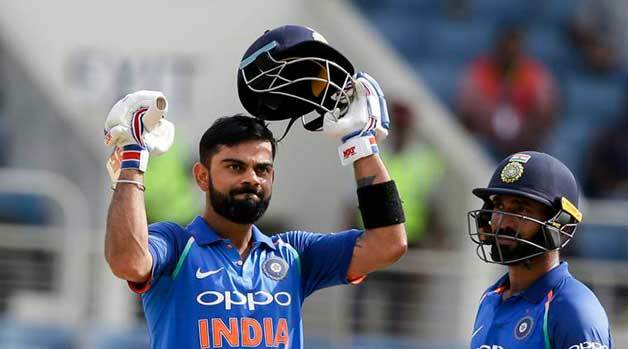 His captaincy record further strengthens his position as he is the only captain in the world to win the ODI World Cup, the T20 World Cup as well as lead his side to be the number 1 Test side. Dhoni’s wicket keeping record is simply outstanding. The man is already nearing 500 dismissals. The style in which he stumps the batsman out is crunch time for photographers around the world. Athleticism and intelligence combine to give the Dhoni the extra advantage which he uses to dismiss batsmen in a flash. Without a doubt, Dhoni will surely surpass the top three and become the world’s greatest wicket keeper. This is not a fan’s prediction, but a careful observation after looking at the stats. Top Ten Greatest Wicket keepers Of All Time puts MSD at number four for now. The first real time heavyweight in this list who has the ability to make a mockery of all those figures stated above. 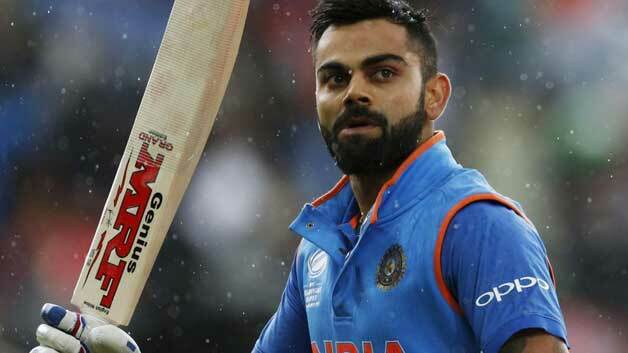 More than 21,000 runs to his name in ODIs and Tests involving 47 centuries and 117 half-centuries. Above 600 dismissals including a world record 81 stumpings. Perhaps one of the most lethal, classical, reliable and legendary wicket keeper batsmen the cricketing world has ever witnessed. From leading the side to care taking the side, Sangakkara has done it all. Providing the team with much needed partnerships, altering the scoring rate at will, dwarfing big targets and handling the pressure down to the core… how well this man has represented and taken care of Sri Lankan cricket is something which can only be described through volumes of books and an unending series of lectures. Top Ten Greatest Wicket keepers Of All Time is proud to have Sangakkara in at number three and thanks him for all the entertainment and for keeping the gentlemen’s game alive. Thank You so much Sir. Before we say anything else about this supernatural human being, just remember the number 999. Well, that’s the number of dismissals Boucher holds in ODIs, Tests as well as T20s. Had it not been for an unfortunate eye-injury, Boucher would’ve become the first wicket keeper to complete 1000 dismissals across the different forms of the game. The problem while writing about such class players and true ambassadors of the game is that you don’t know where to begin. So many adjectives, so many phrases… yet it never seems enough. Perhaps it is the figures which might be able to fill the gap and help us get rid of that emptiness. 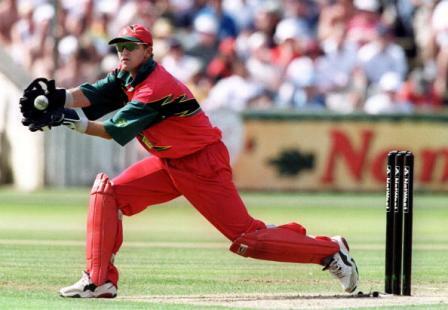 Over 10,000 runs and 61 half-centuries with six crucial centuries in Tests and ODIs, Boucher was a lower middle order batsman who made the most out of the number of balls he had. Putting his aggression, endurance and guts to use, Boucher upped the learning curve and turned out to be one of the most valuable and cherished additions to the Proteas side. Top Ten Greatest Wicket keepers Of All Time takes a bow and places him at number 2 with all the respect and appreciation in the world of cricket writings. Australian cricket was certainly blessed to have Gilly with them. Gilchrist brought so much to the cricket pitch, that he stumps you right there if you try to write songs praising him. How should we start? Gilchrist was, will have to say this, perfect when it came to wicket keeping. He followed the bowlers on either side of the wicket and even against a tricky Warne, Gilly was always upto the mark. As a batsman, Gilchrist would open with Hayden or provide that explosive ammo down the lower middle order at number seven. 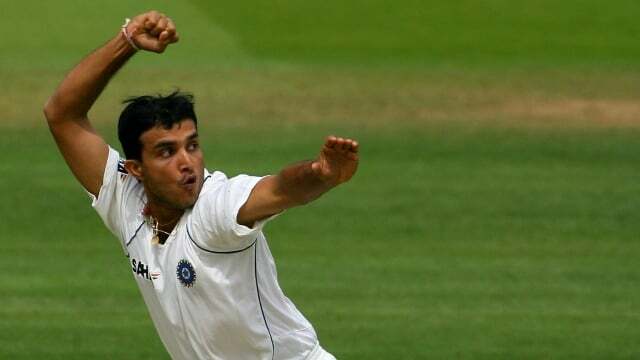 Be it the impressive placement of the ball or the dangerous assault that the man took right at the beginning; it was always a pleasurable sight for the fielding side to see Gilly’s back. Responsible for nearly 900 dismissals and more than 15,000 runs to his name, Gilchrist with 33 centuries and 81 halff-centuries was a true asset for the side which dominated World Cricket for nearly 12 years. Wicket keeping has evolved over the years and the every little change to the game affects this particular position which is of significant importance. 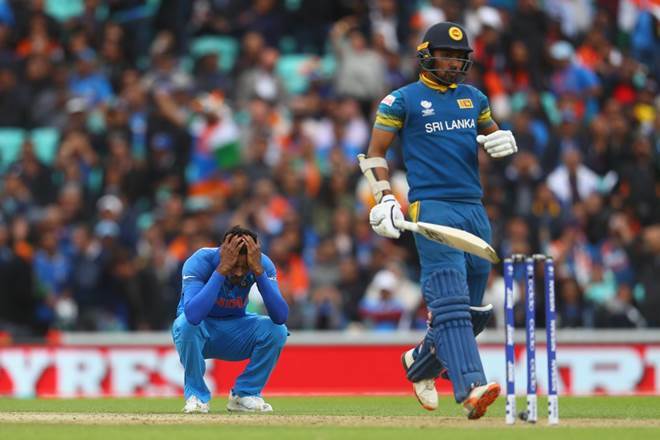 From new rules to improvised shot selections, from the bowler’s destructive aggression to the confusing pitch … a wicket keeper has to be on his toes throughout the game. Top Ten Greatest Wicket keepers Of All Time wants you to understand that from the widest of throws to the poorest of line and lengths, a wicket keeper absorbs everything for the team. Top Ten Greatest Wicket keepers Of All Time dedicates this article to all the wicket keepers across the globe, keep it up buddies!